American Folk Legend Jim Croce Sees Brilliant Career Overview In Rarities Of His Greatest Hits Including A Previously Unreleased Concert From 1964! 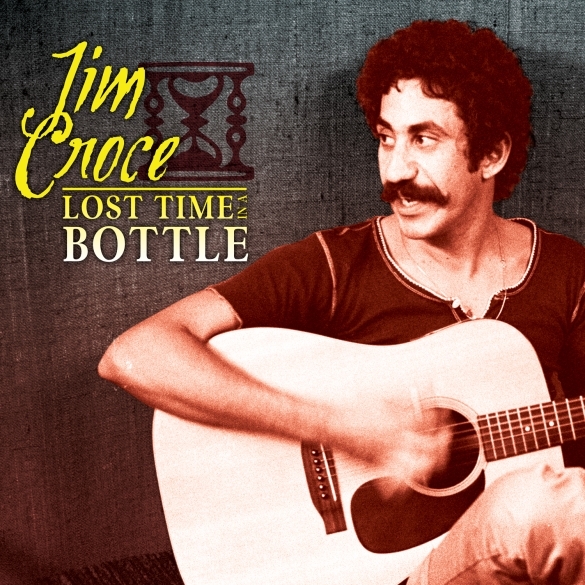 Los Angeles, CA – On July 22nd, the legacy of folk singer Jim Croce will see added to its distinguished discography, the release of Lost Time In A Bottle, a 24-track collection of rare versions of all his greatest hit songs including “Time In A Bottle,” “Operator,” “Bad, Bad Leroy Brown” and “I Got A Name.” The collection will be released by Cleopatra Records first on CD, with a 2LP vinyl version set to follow shortly thereafter. Between the years 1966 and 1973, Croce released a mere five studio albums and 11 singles, 2 of which made it to number one on the Billboard Hot 100 Chart. Sadly, we lost this incredible artist on September 20, 1973. His body of work however has lived on in a timeless state as new fans and old have embraced the incredible songwriting that has made him into the legend that he is today. Included on Lost Time In A Bottle, is a previously unreleased radio concert from Cazenovia College in 1964. Recorded near the beginning of Jim’s career, it is a marvelous showcase of the storytelling skills and sparkling personality that the world would soon come to love.